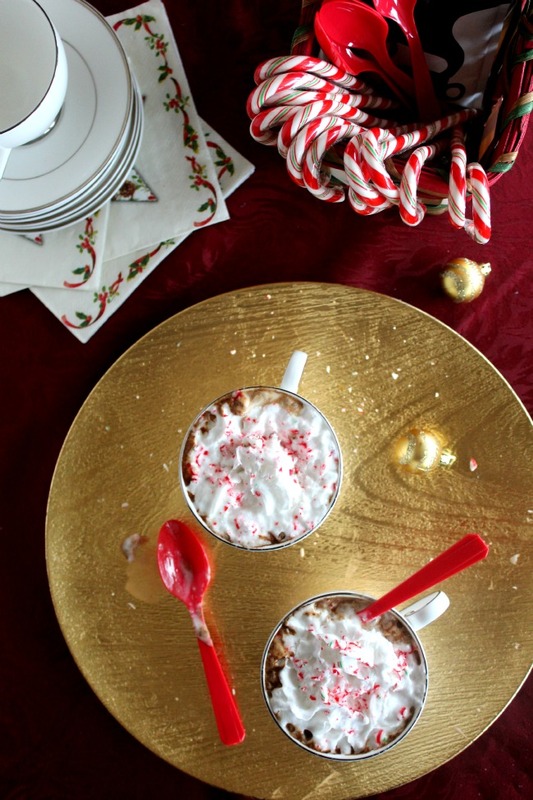 There’s no need to slip out Christmas morning for your favourite holiday specialty coffee when you can make festive Peppermint Mochas right in your crock pot (slow cooker). After I gave birth to my daughter, not even a week before Christmas, I asked my husband to get me one of these festive treats. There just happened to be a well-known coffee shop right in the hospital. I was having chills after the delivery and let me tell you, that chocolatey coffee with loads of whipped cream and crushed candy canes just warmed me right up! 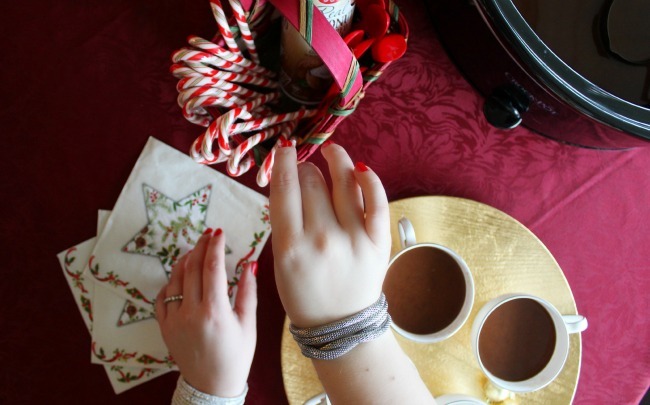 I’m not one to indulge often in syrupy or sweet drinks, but around Christmas I do love having specialty coffees or hot chocolates – it’s something about the season of and mornings by the Christmas tree that makes me crave them. For holiday entertaining and cozy mornings, why not enjoy this classic in the comfort of your home? 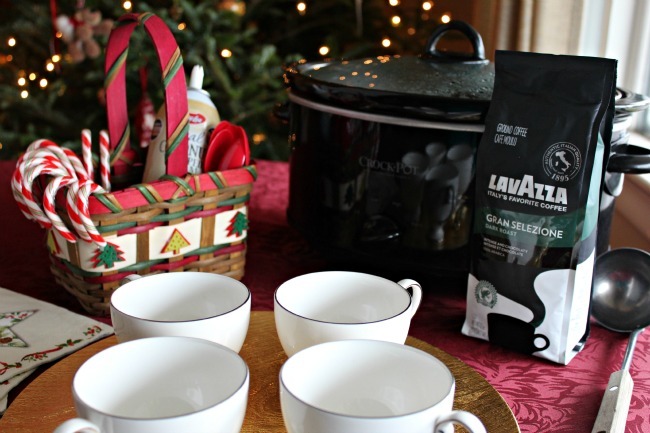 It’s as simple as brewing my favourite dark roast, Gran Selezione from Lavazza, and combining coconut milk (or regular milk), semi-sweet chocolate chips, and peppermint extract in the crock pot. Whoever is up first can add the ingredients to the crock pot and let it do its thing…waking up everyone else with its sweet aroma. It takes about an hour to heat up and melt the chocolate, creating a deliciously rich, creamy hot mocha beverage. 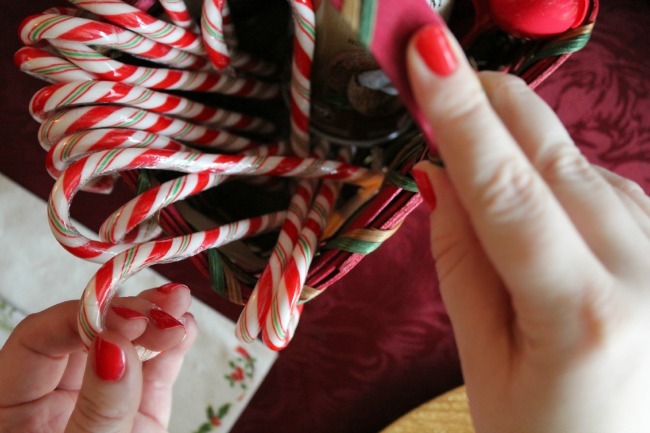 You can even set up a drink bar with different toppings, from crushed candy canes to chocolate sprinkles. Put out the crock pot on a heat-safe surface with a ladle and family and friends can serve themselves. 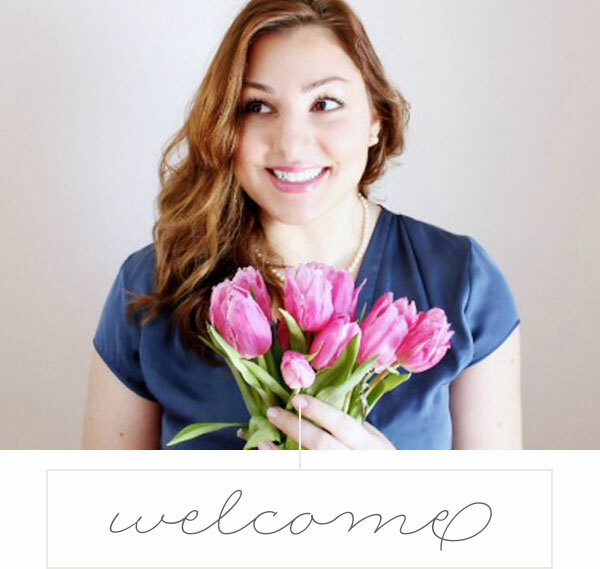 Of course, you can also layout freshly brewed coffee, like Lavazza’s Gran Selezione, as well as hot chocolate, apple cider, and breakfast teas. The dark roast Gran Selezione is a perfect brew for this drink, adding bold flavour and full-bodied taste. I made this version dairy-free, using coconut milk and coconut whipped cream, however you can use cow’s milk too. Don’t worry about using coconut milk, you can’t taste the coconut and it makes a very rich, smooth hot drink that is dairy-free (great for people with allergies). For that extra kick, pure peppermint extract does the trick. 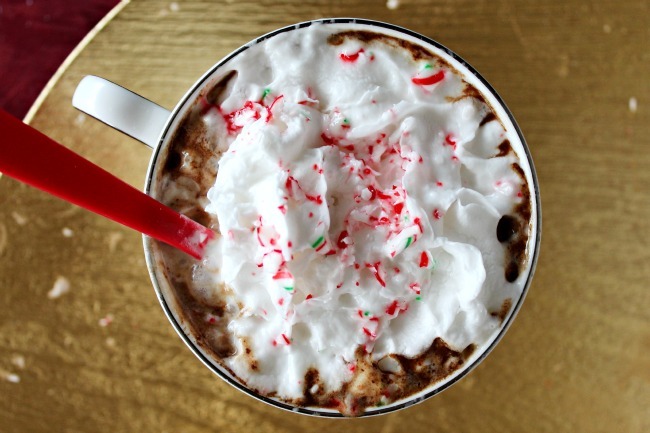 It truly turns regular mochas into a Christmas dream. On Christmas morning, when everyone is around the tree and wrapping paper is flying, sit back to enjoy the sweet delight of this delicious holiday drink and the moments that are happening right before your eyes. 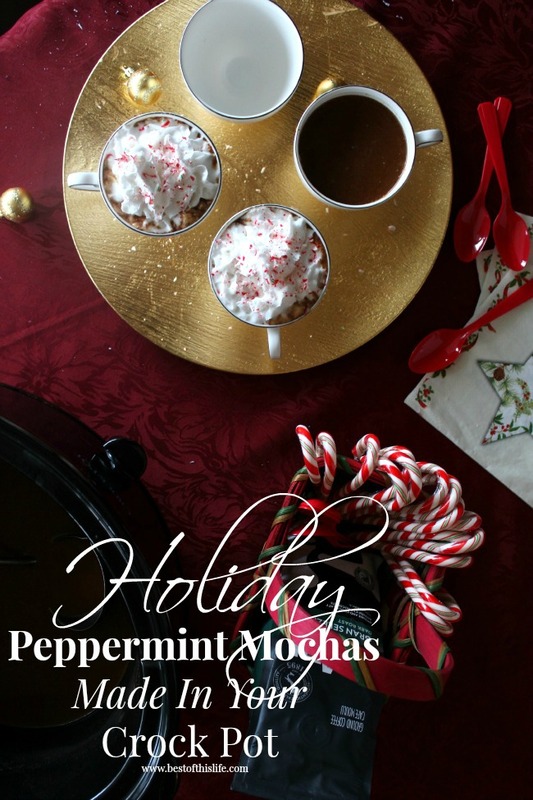 In a Crock Pot, combine coffee, coconut milk, peppermint extract, sugar, and chocolate chips. Warm up on high for 1 hour, stirring every 15 minutes. 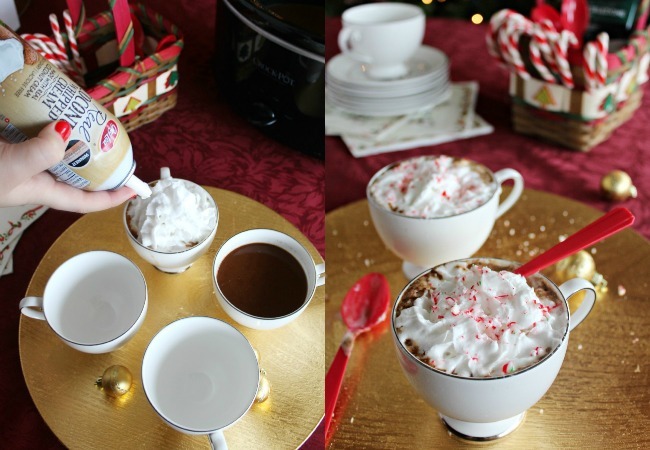 Once it's nice and hot, serve in mugs and top with whipped cream or other garnishes, like marshmallows, shaved chocolate and crushed candy canes. 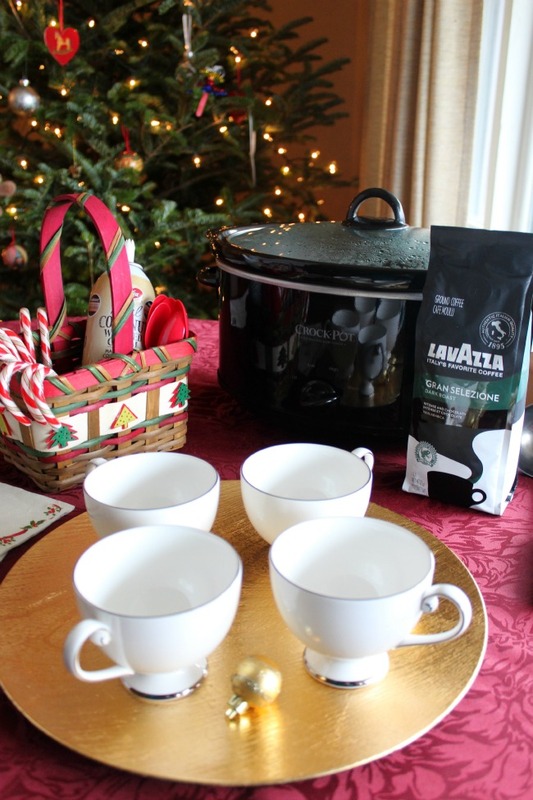 For more holiday drinks using Lavazza’s Gran Selezione Blend please follow our Lavazza Passionistas pinterest board! Connect with Lavazza on Facebook, Twitter, and Instagram and visit their website here.